The number of picked up gusset stitches is half the number of the total of heel flap rows. At this point, put the stitches held on the locking stitch markers back on their respective needles on either side of the instep. Pick up the correct number of gusset stitches plus 1 extra, if needed, on either side of the instep. Carefully create the extra stitch so it will close any hole made by stressing the running thread during heel flap and heel turn work. This is done in one of two ways. 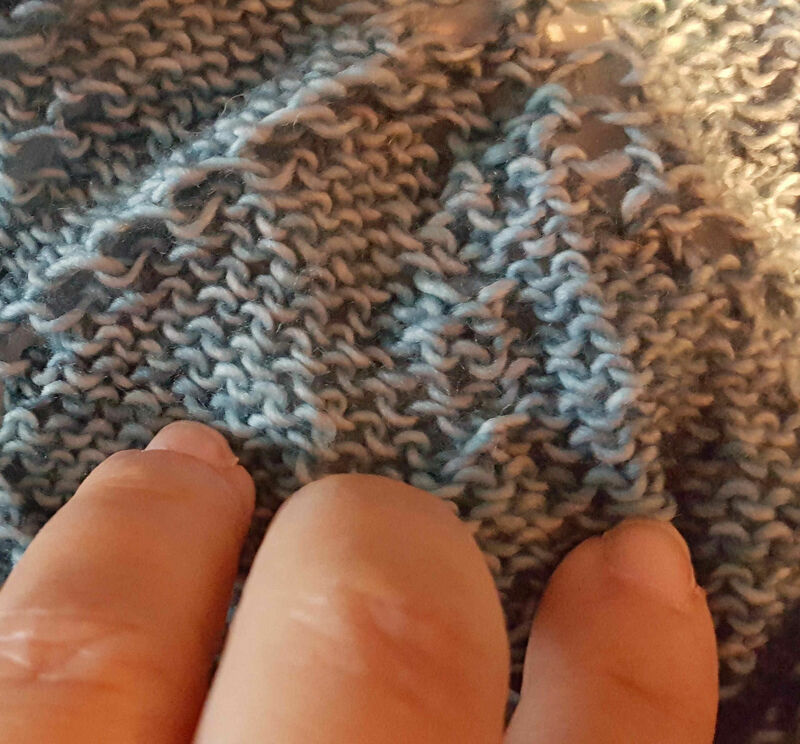 Every knit stitch wears a little collar at the top. For a lifted increase knit into the little collar. The second way is to simply knit into the stitch in the row below. 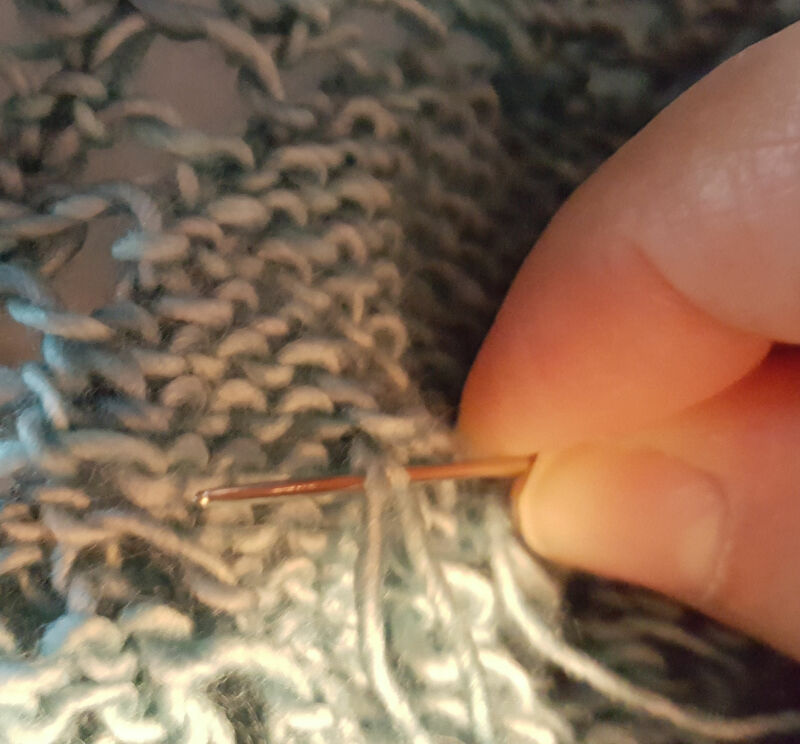 How you make the extra stitch is less important than where you place it. Search for the correct placement by trying different areas. You’ll know when it is right. On the next round, decrease the added stitches. You also need to decrease the stitches added to accommodate a high instep. These decreases are done on the sole of the sock. Usually they are made 3 or 4 stitches away from the center of the sole. Decrease the gusset stitches until the original cast on number is reached. Gusset stitch decreases are made on either side of the instep. On the right side of the instep knit to the last 3 sts then work a k2tog, k1. Work across instep stitches. On the left side of the instep work a k1, ssk. Work to end of round. On the next round work even, with no decreases. Alternate between decreasing on one row and working even on the following row until you’ve decreased to the original number of cast on stitches. 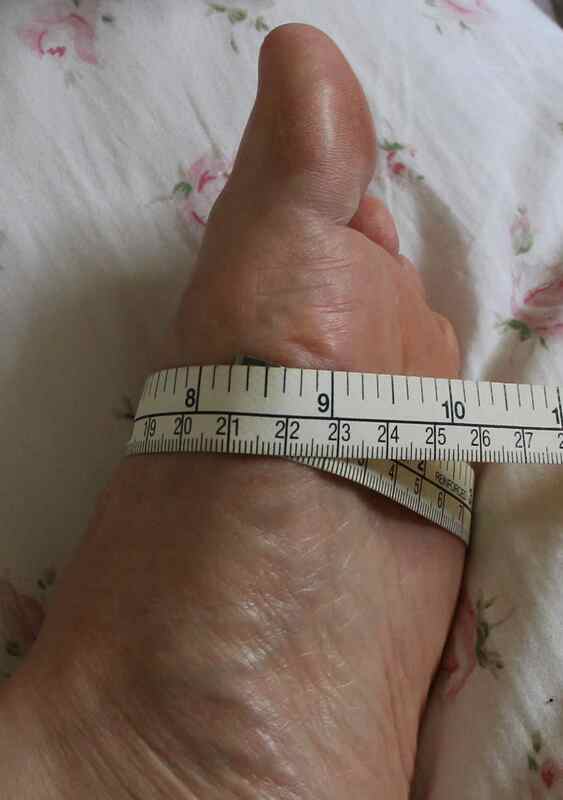 Measure the length of the foot and jot down the number. It is at this point that most sock patterns tell you to work even until the piece measures x amount of inches (cm) from back of heel or X amount of inches (cm) less than desired total foot length. This is where many knitters go wrong. They follow the numbers given instead of using the numbers from their actual knitting. In order to know how many rows you need to work even until toe cap shaping begins, you need to know the length of the sole of the sock when the gusset decreases are complete, your row gauge, how long (the number of rows) the toe cap will be, and your desired foot length. My total actual foot length is 9″ (23) cm. 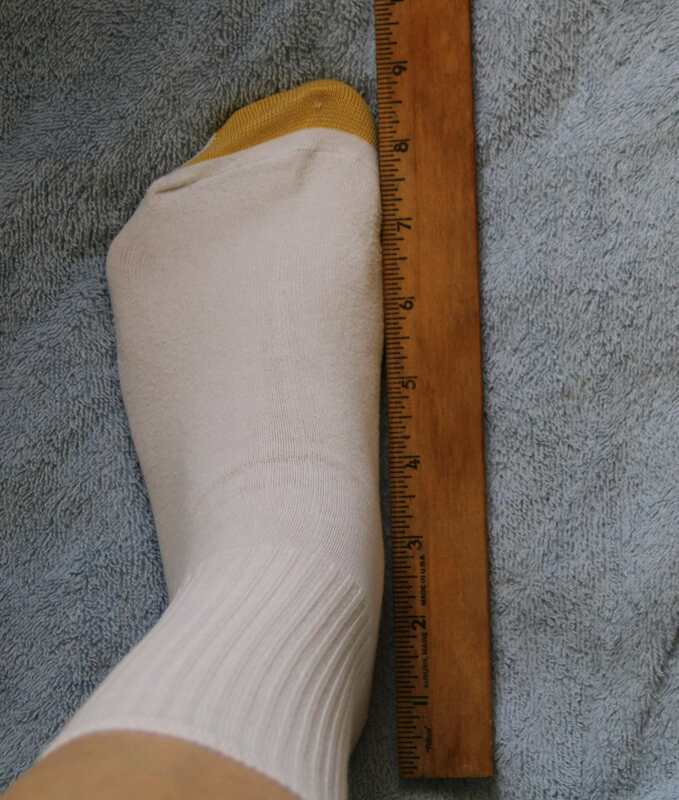 My desired foot length, however, is 8.5″ (21.5) cm. 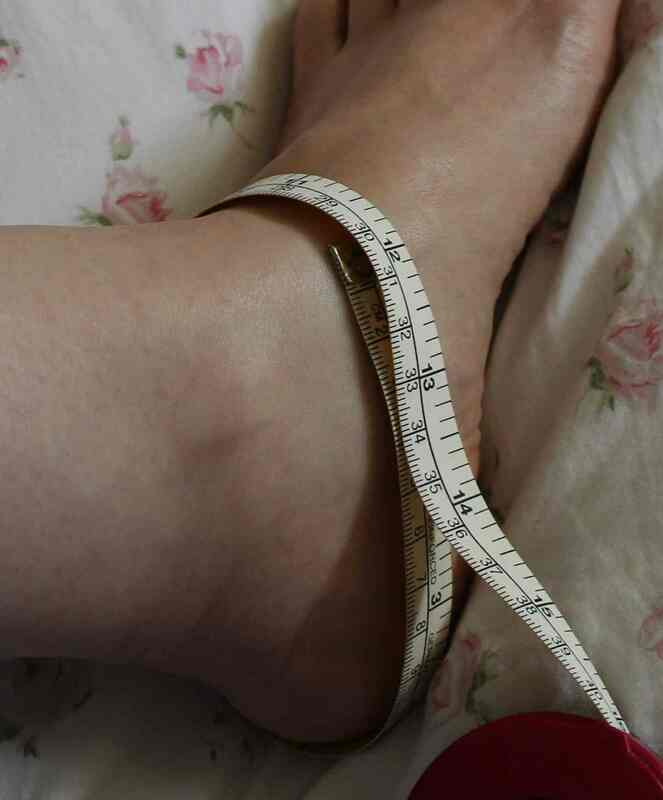 Yes, I shorten my desired foot length by 1/2″ (1.5) cm because I like my sock to gently hug my foot. If I knit it to my actual foot length of 9″ (23) cm the sock tends to be floppy on my foot. Please be aware that many, many knitters vehemently disagree with shortening the sock’s foot length by any number. I’ve tried it their way and it doesn’t work for me. So I suggest you do the same. Try knitting to your actual foot length and see how it fits. 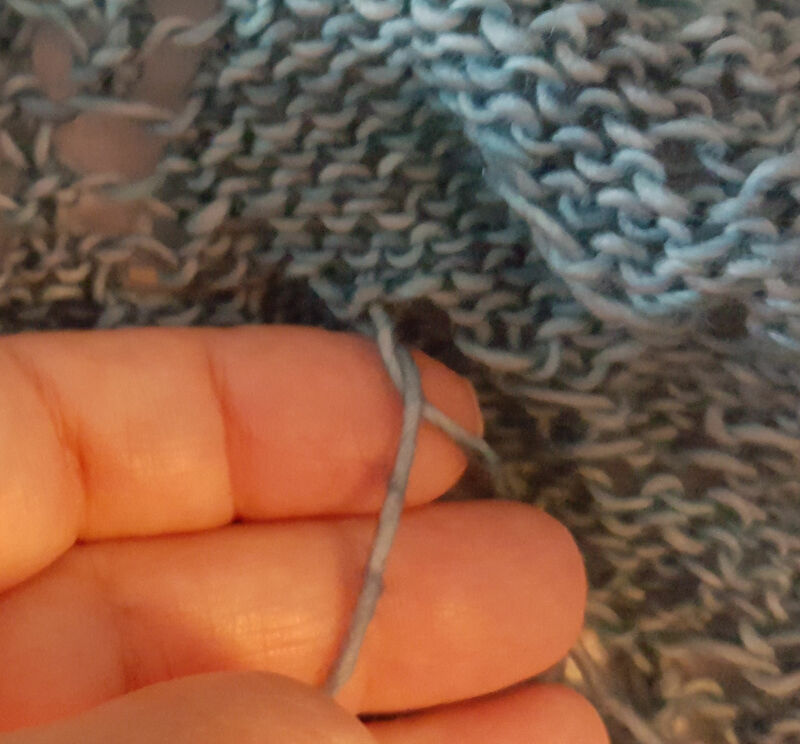 If it is too loose, decrease the length by 1/2″ (1.5) cm and don’t even mention it in knitting circles. I know there are no knitting police but there are opinionated knitters. What they don’t know won’t upset them. The beginning of the toe cap calls for decreasing 2 stitches either side of the instep for a total decrease of 4 stitches per round while knitting even, without shaping, every other round. Thus, one complete decrease of 4 stitches takes two rounds. We want to halve the number of cast on stitches and find out how many rows it’s going to take to get it done. 56 cast on stitches divided by 2 = 28 sts remaining at the end of the first part of toe shaping. 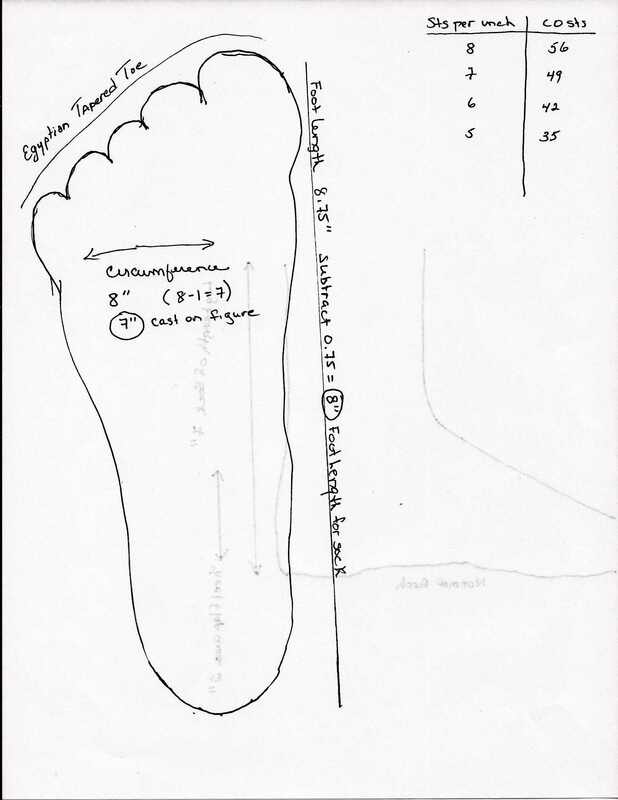 The calculation looks like this: _______ cast on stitches divided by 2 = ______ sts remaining from first shaping of toe. How many rows will it take to decrease 28 stitches? Divide the number of stitches that need to remain by the number of stitches being decreased in a round. 28 divided by 4 = 7. I will have 7 decrease rows. The calculation looks like this: _______half the cast on stitches divided by 4 = ______the number of decrease rows. Since it take 2 rows to complete a decrease I multiple 7 by 2 and get 14 rows total in the first shaping. _______number of decrease rows times 2 = ______total number of rows in first shaping. How many inches does 14 row equal? To find that, divide 14 by the number of rows you are getting per inch. For me its 14 divided by 7 = 2 inches (5) cm. 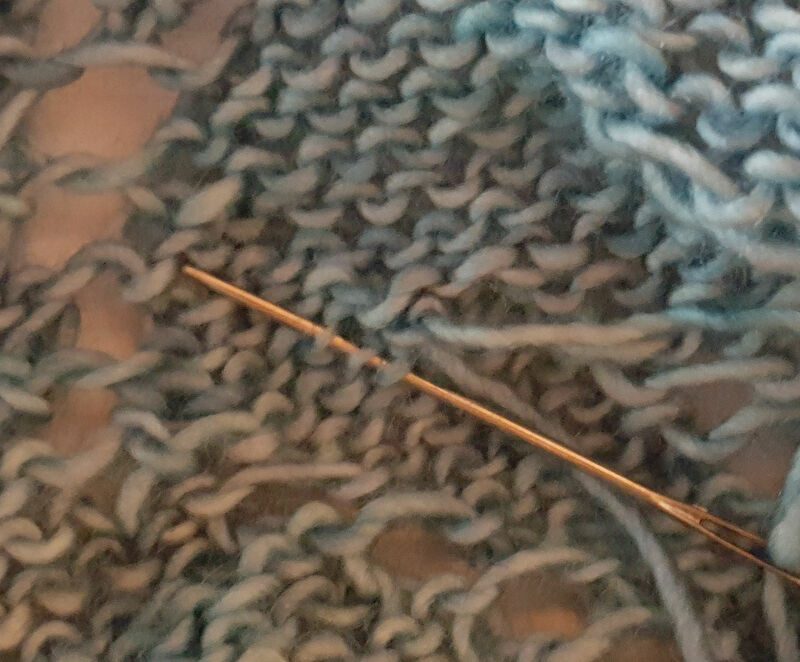 The calculation looks like this: _________total number of rows in first shaping divided by ______my gauge of rows per inch = _______length of first shaping. The last half of toe shaping occurs on every round until there are anywhere from 7 or 8 to 16 or 18 toe stitches remaining. This is also the part of shaping where you can tailor the sock’s toe shape to fit the slant of the toes. The more stitches remaining at the end of this shaping the more square or wider the toe shape. Finding the total length of this part of the toe cap is similar to that above. Take half the number of cast on stitches and subtract the number of stitches you want to have left across the top of the foot. 28-8 = 20. The calculation looks like this: _____half the number of cast on stitches minus ______number of stitches I want to remain across the top of the foot = ______the number of stitches I need to decrease. For me the number I need to decrease is 20. Again I need to find out how many rows will it take to decrease 20 sts. Divide the number of stitches to be decreased, 20, by the number of stitches decreased per round, 4, = 5. It will take me 5 rows. The calculation looks like this: _______number of stitches to be decreased divided by ______number of stitches decreased per round = ______number of rows worked. To find the length of this part of the toe work I divide my row gauge, 7, by the number of rows I need to work to complete the decreasing, 5 = 0.71. This means the length is just shy of 3/4 of an inch (2) cm. The calculation looks like this: _____my row gauge divided by ______rows needed to complete decreases = length of this part of toe cap. 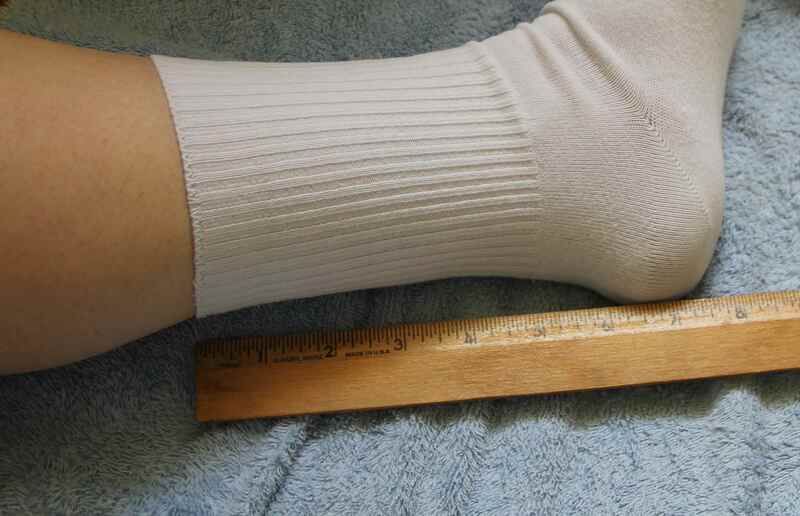 So I should work even until the foot of my sock measures 5.75″ (14.5) cm or until the foot is 2.75″ (7) cm less than my desired length. This is what the calculations look like: ______length of first part of toe cap plus ______length of second part of toe cap = ______ total length of toe cap. 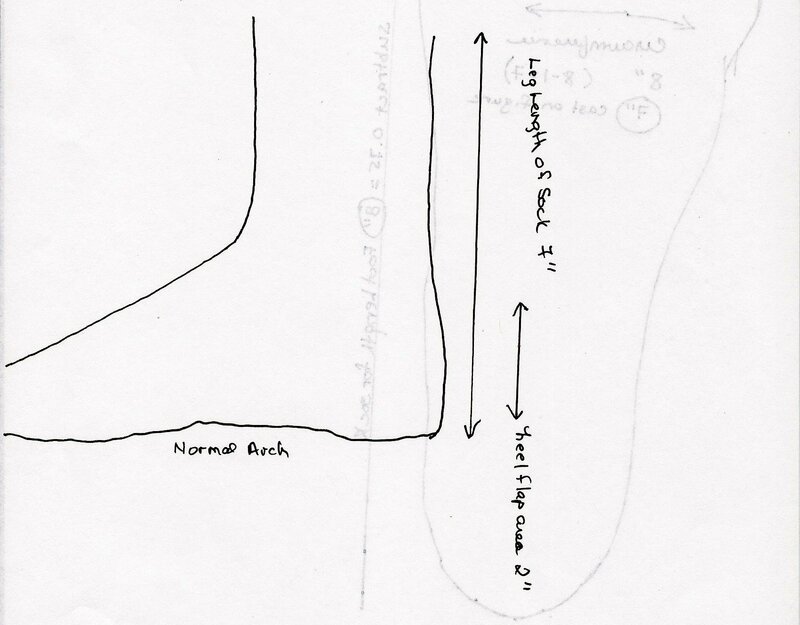 Next calculation looks like this: _______desired length of foot minus _____total length of toe cap = length of foot when I begin toe cap decreases. I hope this helps clear up some of the mystery of knitting a sock that fits. At some point in the immediate future, I am going to publish all the sock math on one page so you can use it to customize your fit. To find the number of stitches for the heel turn divide the number of heel flap stitches by 2. The equation looks like this: _______ heel flap stitches divided by 2 = __________ number of stitches in the heel turn. The first decrease of the heel turn begins 2 stitches past the center of the heel. For example, I have 28 heel flap stitches. Divided by 2 that gives me 14 stitches and I am at the center of the heel. I then add 2 stitches to the 14 for 16 sts. 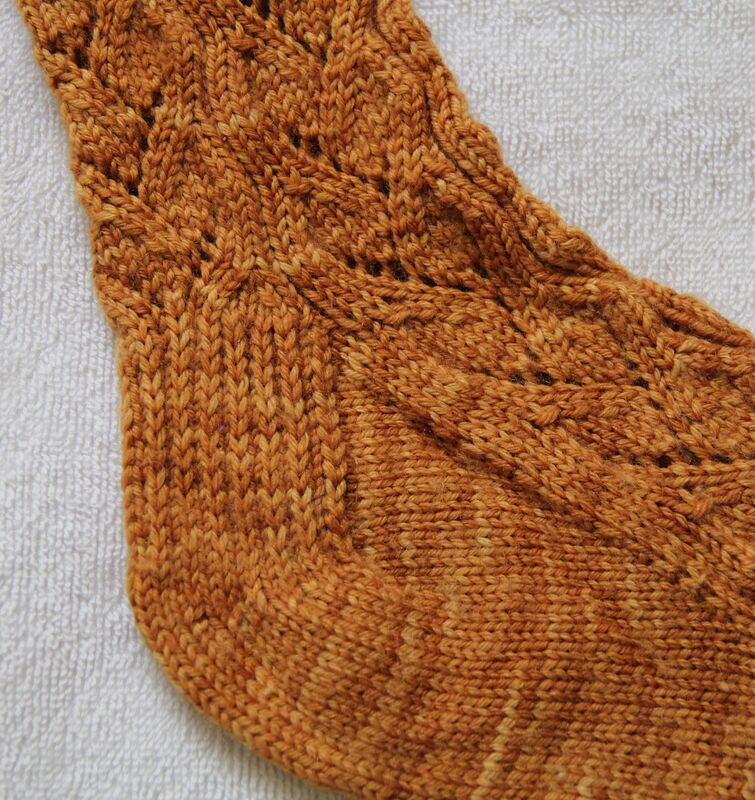 This means I knit 16 stitches before beginning the first heel turn decrease by making an ssk, k1, turn work. The next row is a WS row and worked thus: Slip 1 purlwise, p5, p2tog, p1, turn work. The purl 5 is a fairly standard number for a heel. The ssk in the previous row and the purl 5 in this row set up the heel cup. The number can be changed, but when doing so be sure the number of stitches on each side of the heel cup are equal. 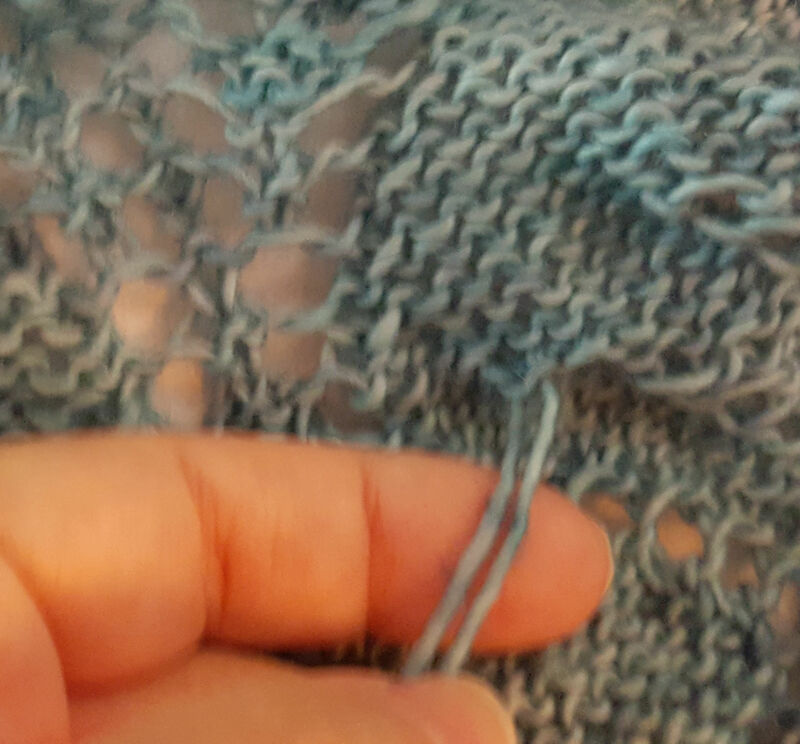 The next RS row is worked by slipping 1 purlwise, knitting to 1 stitch before the gap made on the previous row, performing an ssk, knitting 1 and then turning the work. On the WS row, slip the first stitch purlwise, purl to 1 stitch before the gap from the previous row, p2tog, p1, then turn work. Repeat the last two rows until half the number of heel stitches you began with remain. For example, I began with 28. At the end of the heel turn I should have 14 stitches remaining. Omit the added stitches from the equation for the heel turn. Work the equation as is with the original stitch number. The two or four extra stitches remain outside the working heel turn area. They will be decreased early in the gusset work. While I have not worked nor read the Arch-Shaped Stockings pattern by Meg Swanson it presents an entirely different way of dealing with high arches and sock construction. 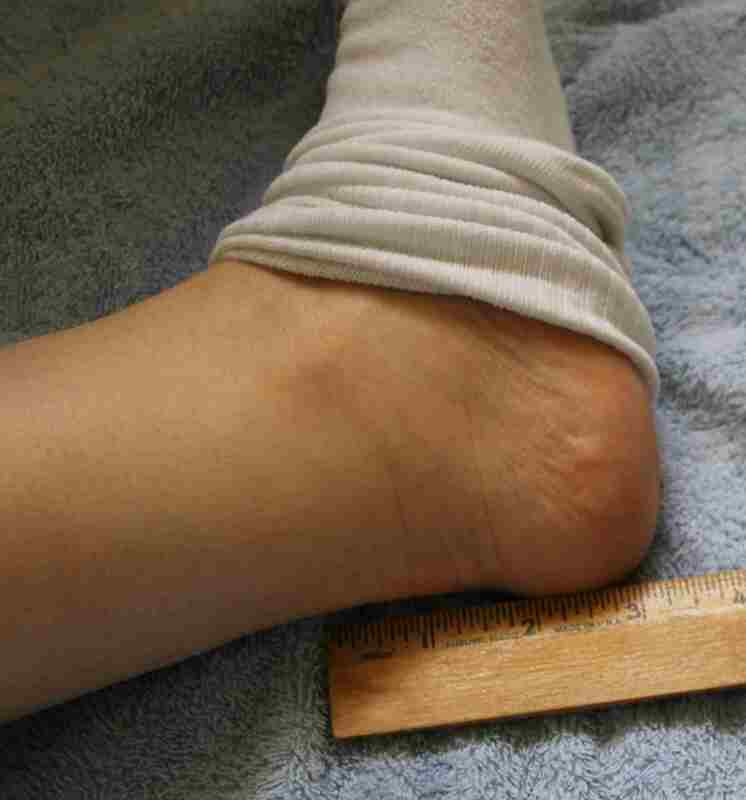 If your arch is very high, it may help you get to a better way of constructing socks that fit. For the sake of transparency, I do not know Ms. Swanson, nor am I employed by her. The suggestion to look at her pattern is just that, a suggestion.